I’m a self-professed Nintendo fanboy. Nintendo made me a fan of games and of this industry. But if I were to take stock of every game I’ve ever owned, ever played, most have been published, developed, or both by Capcom. Which has made the sad state of affairs at Capcom all the sadder over the past several years. Street Fighter V launched as a $60 early access game. Mega Man sat dormant for nearly eight years. And Resident Evil 6? Don’t get me started on Resident Evil 6. 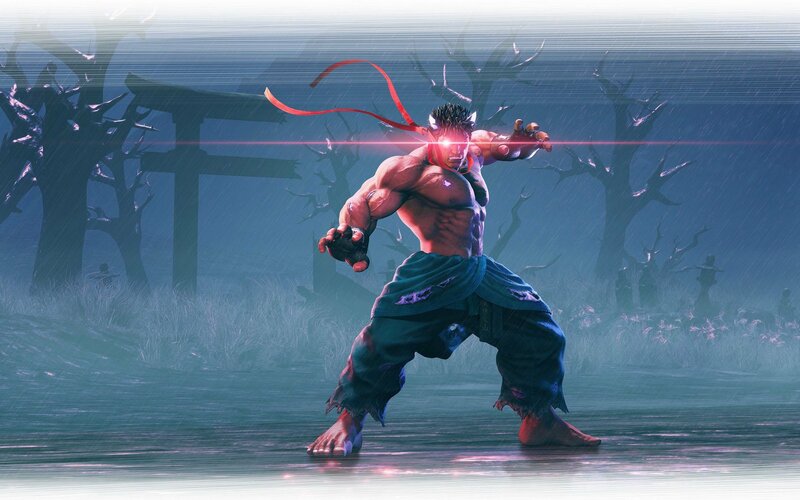 Kage, aka "Evil Ryu," has returned in Street Fighter V.
Which, in turn, makes me so happy to announce that Capcom has had possibly its best year ever in 2018. The legendary company launched Resident Evil 7 last year, which was a good start, but that was just a warm up. Monster Hunter: World has sold over 10 million copies on Xbox One, PC and PS4 this year. Over the last 12 months, Capcom brought the Blue Bomber back from that big scrapyard in the sky with Mega Man 11. Street Fighter V’s inevitable updates have added modes and characters that, yes, should have been there from the beginning, but they’re here now and the game is at its peak in terms of popularity, especially among pro players. And millions of Switch owners are able to play some of Capcom’s best games from yesteryear with the arrival of compilations such as the Mega Man X Legacy Collection and Street Fighter 30th Anniversary Collection on Nintendo’s portable. The biggest Capcom news of 2018, however, came at E3, when the studio finally—after three infuriatingly silent years—pulled back the bloody curtain to show its remake of Resident Evil 2. What a showing it was. A little bit about me: Resident Evil 2 “RE2make” was the only game I wanted to play at the show. It’s the only game I wanted to play last year, and the year before that. And I got to play it. And it was incredible. I’m not the only one who thought so: The title won Best of Show from post-show Game Critics Awards. Capcom is on track to release Resident Evil 2 Remake next month on January 25, putting the developer/publisher in the right spot to continue its winning streak into the next calendar year. As someone who grew up playing Mega Man, Street Fighter, and Resident Evil, and who genuinely looks to the state of those franchises as a barometer for Capcom’s health overall, I am thrilled—and honestly relieved—to see one of my favorite companies, and one of the industry’s most influential, rising back from near-death. More than a comeback, the return of Capcom’s franchises to the tip of so many tongues is an indicator that the studio’s best years may still be ahead. Actually less than a month. Ah! That’s what I meant. I was thinking January 25, but for some reason “2” and “months” happened.